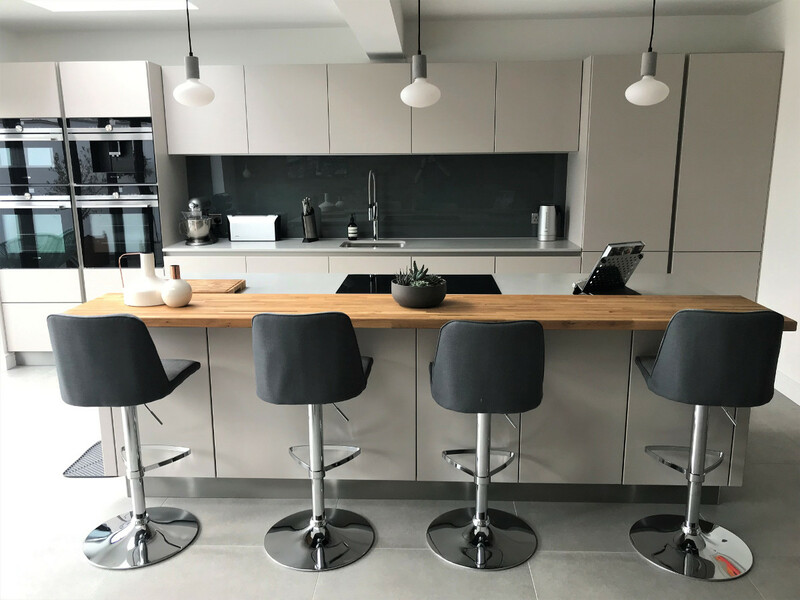 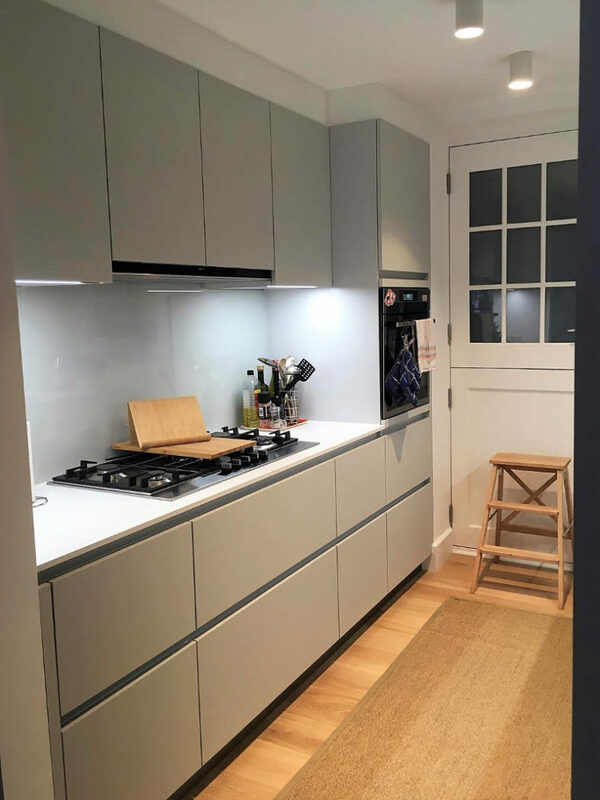 The units are finished in Magnolia high gloss lacquer from our Next125 range combined here with Cream mirror (dark) composite stone worktops with an up-stand of 165 mm and a bevel edge. 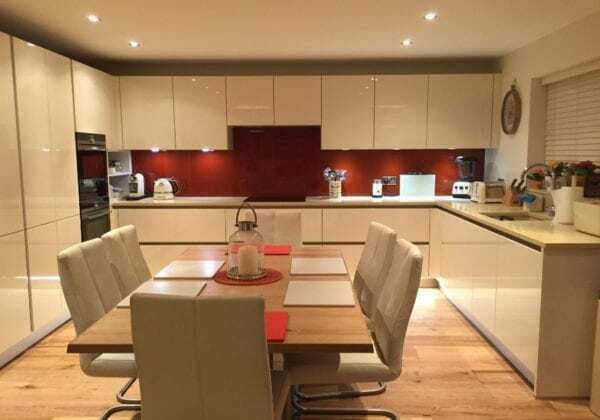 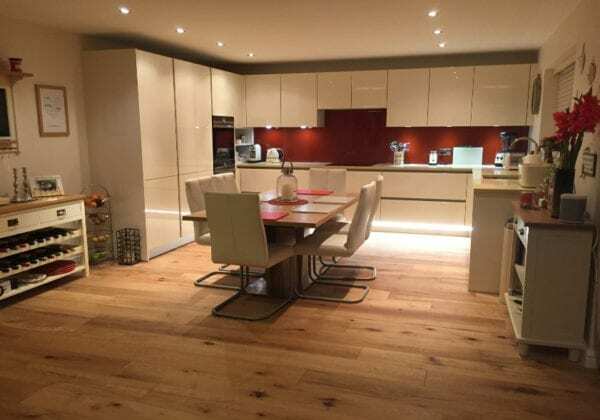 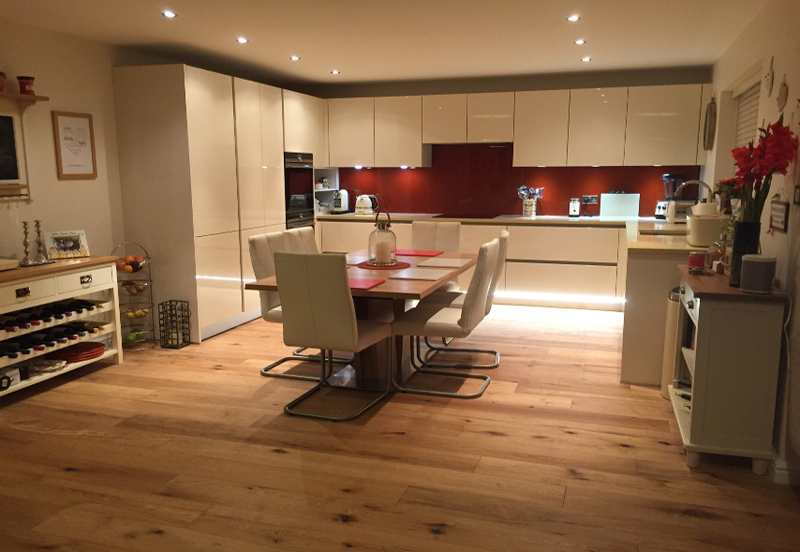 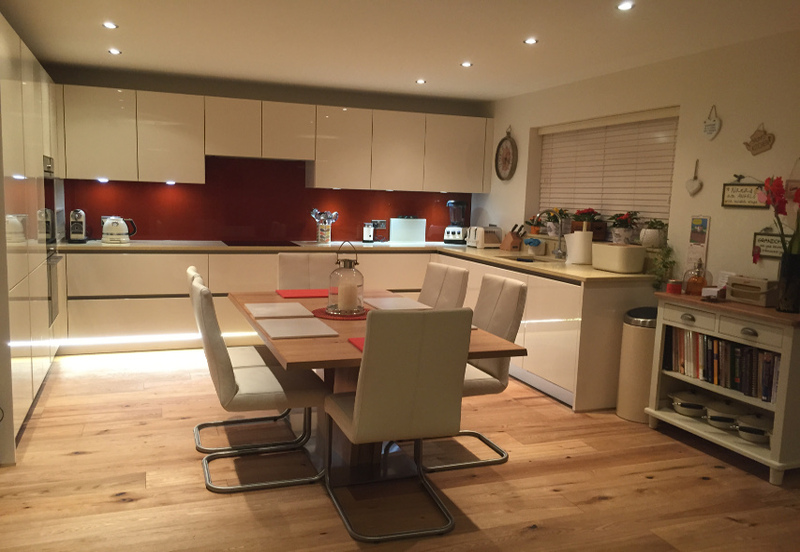 We like the burgundy coloured glass splash back which works well in contrast with the Magnolia units and the wooden flooring looks great too! 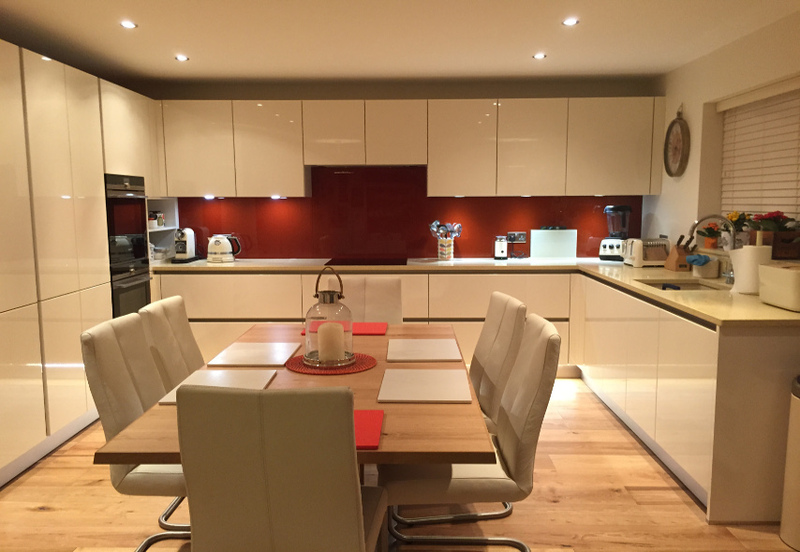 Our thanks to both Sue and Steve for sending us these great looking images.